Classic. Heirloom. Vintage inspired. No, I'm not describing my most recent trip to my favorite antique store, but instead the exquisite brand, Strasburg Children. Even though I don't have kiddos of my own, when this brand of girls' dresses ran across my desk, I couldn't help but smile and jump at the opportunity to share it with you. For one thing, Strasburg Children very much reminded me of my own dresses from when I was growing up. In fact, I'm pretty sure I owned a dress just like this one. Essentially my mother and grandmother's motto was "If it isn't moving, smock it!" For another, I couldn't help but think about how perfect these dresses would be for budding flower girls. My brother in law and future sister in law are in the process of planning their wedding, and I am sure their niece will be darling in a little white dress similar to the ones seen on the Strasburg site. Based out of Nashville, and in business since the early 1990s, Strasburg Children dresses are hand smocked and hand monogrammed. Plus their attention to detail like covered buttons and extendable hems make these dresses heirloom quality to be passed among sisters, cousins, and friends. When I spoke with the brand, I loved that they described their dresses as the best little black (or in this case, white) dress for girls. In their words, "Sometimes you need it [the dress] for an occasion, but other times you just want to simply feel beautiful." Of course these dresses aren't just for big, life events. In fact, Strasburg Children offers dresses for a range of needs in a range or prices (I love the Caroline for family photos), but the quality and detail remains apparent in each and every item. For more information about Strasburg Children, visit their site. 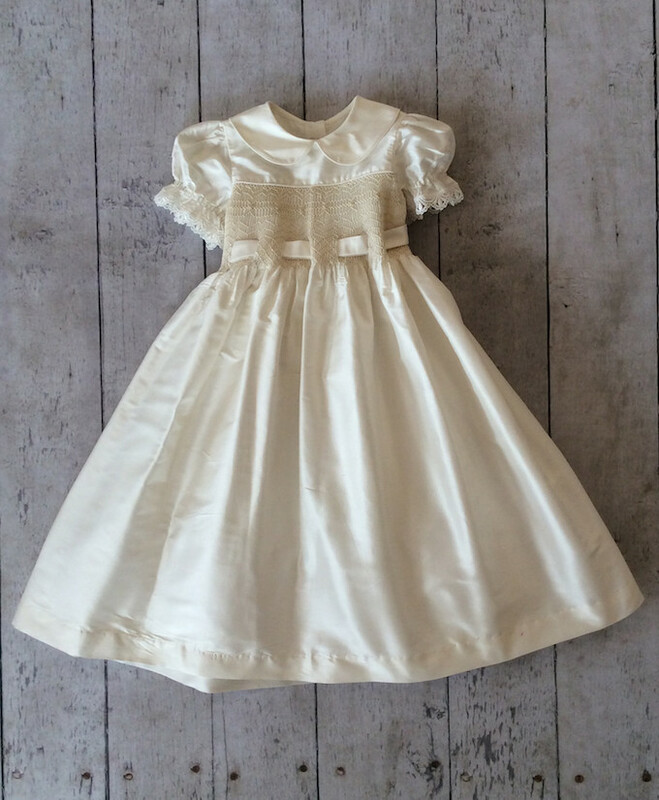 And be sure to pass this simply southern line on to anyone who has a little girl in need of her perfect LWD.